However, there is much more to implementing a successful personal development plan that just these three areas. When planning personal development, managers need to look at an employer’s previous experience, current requirements, and what might be required for them to progress and schedule training, mentoring activities or own learning programs in accordance with the organisations objectives. As well as drawing up a detailed plan, it’s important to set dates to achieve goals, and if not achieved, modify the goals accordingly to ensure that the Personal Development Plan (PDP) remains on course. Managers may need the assistance of a mentor or manager to agree that our plan is achievable and on course and provide additional support, if required. It may also be necessary to share the PDP with these members of staff to ensure that they understand the requirements for the individual employees PDP. It may also be very useful to keep a journal and/or evidence of achieved standards, as these may be required as evidence for future training or promotional opportunities. 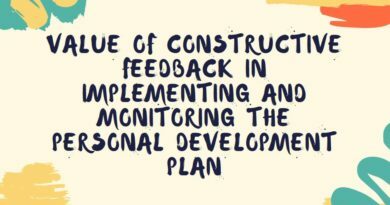 Constructive feedback is vital in implementing and monitoring a personal development plan. When an employee achieves or exceeds a goal within their PDP it is right to praise and encourage them to continue to strive to meet their targets. However, there may be times when the goals are not achieved or mistakes are made. It is at this stage that it is vital to provide constructive feedback, even if it is in the negative vein. Without constructive feedback, it may be difficult for the employee to understand where they are going wrong (why they are failing to achieve their objectives), which in turn may leave them unable to correct mistakes or get back on track. Additionally, poor quality feedback may leave an employee feeling negative about their personal development or even feeling that they need to give up on this plan and change their goals entirely. It is important that employees and their managers are able to learn from any mistakes to avoid them reoccurring. This can also help trainers and managers to prevent the same errors occurring with the next employee. Constructive feedback can help build respect between employees and their mentors/managers. Management “buy-in” is equally important to the performance management process. If management does not understand the importance and value of the process, it can lead to consistently late or incomplete appraisals, mistrust, avoidance of performance discussions, and a lack of honest performance-related discussions. Often managers may feel unprepared to deliver quality feedback and oversee effective performance discussions. 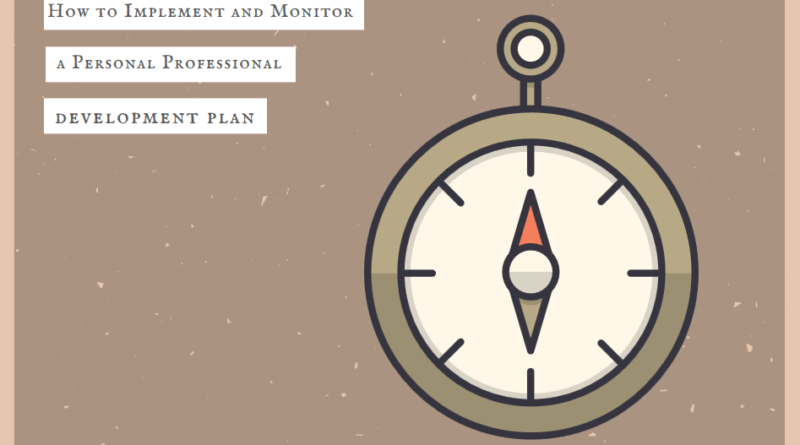 To monitor personal development and progression against objectives, managers need to agree how and when development will be monitored, as well as how and when the PDP is reviewed. When staff are progressing towards an aspect of their professional development, they are regularly assessed and reviewed at agreed stages to ensure that they are progressing in the required direction (both in a professional and learning capabilities) and meeting the targets which have been set for them. It is vital in many professions to ensure that our activities are conducted within a strict set of regulations and that employees achieve a certain level of training/experience to allow them to carry out their roles. One area in which some companies fail in is reviewing completed projects to look for improvements. It’s far easier (and less time consuming) to look at the next project, rather than spending some time looking back at what has recently been completed, but this approach can be detrimental to a business. Not only does reviewing help pinpoint areas may require improvement, but it often highlights if employees are meeting their goals. This allows managers to them revise the Personal Development Plan for individual’s as required. It is important to ensure that reviews are conducted and feedback provided as set times. The meetings may be held on an individual or group basis but should be regular. As part of PDP monitoring, HR records may be kept by a specifical HE department or the Managing Director.